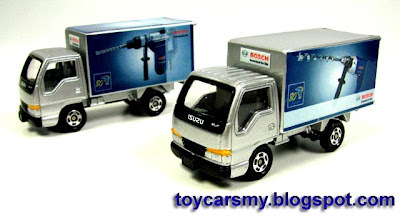 Description: Found 2 more ELF trucks today, this added total to 4 trucks on my Bosch Power Tools Commercial Truck collection. Each Truck has unique tool printed on it. Customization Works: Fabricated stickers, just minor modification from earlier template, changes made on the fly. Congratulation! You got an Unique Truck Collection. 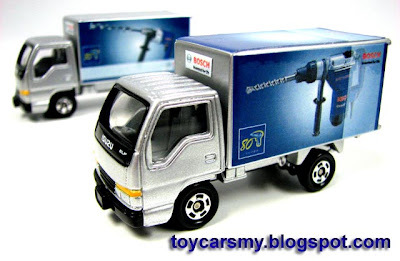 bro u should try on different trucks.. should be very cool and make a Bosch factory diorama or some sort.. would love to see that. great trucks u got thr btw!